The rise of intraoperatively available information threatens to outpace our abilities to process data and thus cause informational overload. 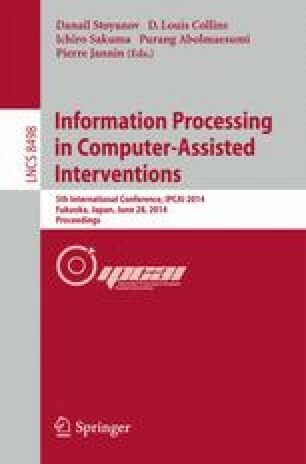 Context-aware systems, filtering information to match the current situation in the OR, will be necessary to reap all benefits of integrated and computerized surgery. To interpret surgical situations, such systems need a robust set of knowledge to make sense of intraoperative measurements. Building on our own ontology for laparoscopy, we formalized the workflow of laparoscopic adrenalectomies, cholecystectomies and pancreatic resections and developed a novel, rule-based situation interpretation algorithm based on OWL and SWRL to recognize phases of these surgeries. The system was evaluated on ground truth data from 19 manually annotated surgeries with an average recognition rate of 89%.